SunSpaces’ Horizon garden rooms are created with you in mind. 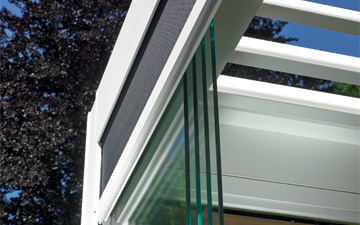 With a diverse range of features, this innovative modular system allows you to create your perfect garden room. 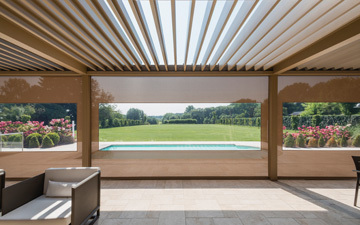 The advanced louvered roof system allows you to make the most of any weather – it’s watertight, so it can be enjoyed even during the rain. The hidden gutter system drains the water away, which means that when you open the roof after it’s been raining, you’ll remain dry and free to enjoy the sunshine! 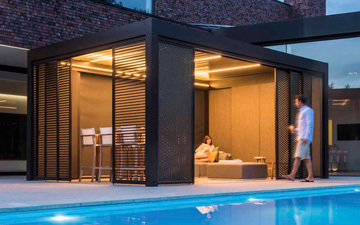 These modular garden rooms boast sleek aluminium roof blades that are designed to open and close quickly and silently with a remote control, so you can adjust them with ease (perfect for the unpredictable British climate!). 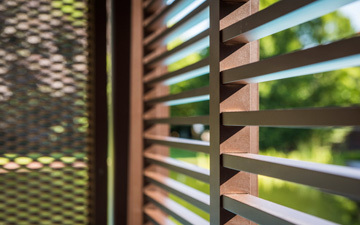 Each of the side panels can be individually selected, so whether you need wind protection on one side, or glass sliding doors to the front, the Horizon garden room system provides total flexibility. You can even add lighting, heating and a sound system to your garden room! 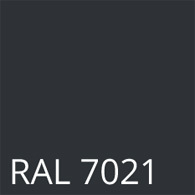 For further personalisation, the Horizon is available in any RAL colour, so it will complement your existing space no matter what your style. 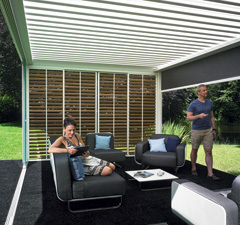 This modular garden room with its stunning louvered roof is designed to enhance the style and elegance of your home, and it will no doubt add a sense of sophistication to your garden, whether you decide to use it for entertaining or relaxing. To get more information on the Horizon and its features, please visit one of our showrooms or call our expert sales team on 0800 085 8110 to find out more. *please note that our SunSpace Horizon is sold including installation. Bespoke modular garden room designed to meet your exact specifications. Customise with options including lighting, heating, side screens and even a Bluetooth sound system! 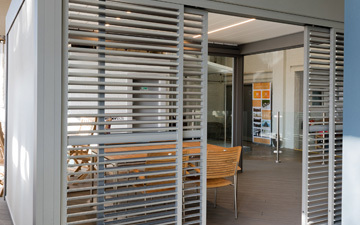 Side Panels: Choose from a variety of options: glass sliding doors; Aluminium blade system with sliding doors or sliding panels with integrated UV protection; or fixed aluminium louvered walls. The aluminium frame is available in all standard RAL colours– why not contrast roof blades in a different colour to the structure for a contemporary effect. You can link as many Horizons together as you wish for larger areas. Control: Electric motor with or without remote control. 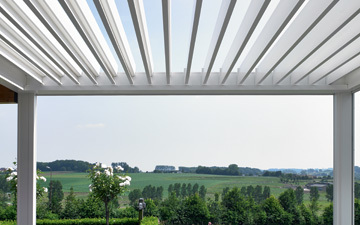 Wind resistance: Up to 120 km/h with roof blades closed. Rotating aluminium louvered roof blades which provides ventilation, shade and watertight seal protection from rain. 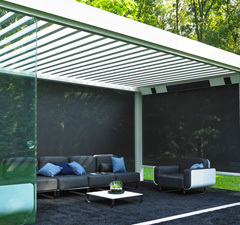 This stylish louvered roof is easy to operate with a remote control and the blades move silently. 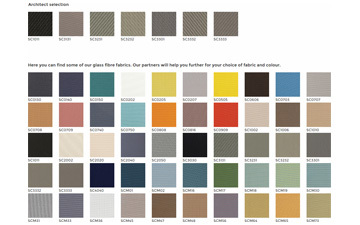 Choose from a range of colours for the blades – either to match the frame or to contrast. Sliding glass panels made from laminated glass provide better protection from the wind and rain whilst maintaining your view. 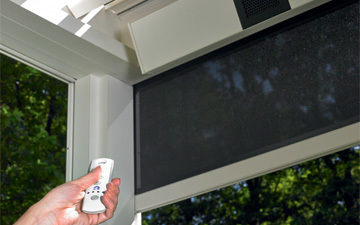 This innovative system allows you to control the amount of light that comes into your garden room. These vertical blades are manually adjustable or can be supplied with fixed blades. 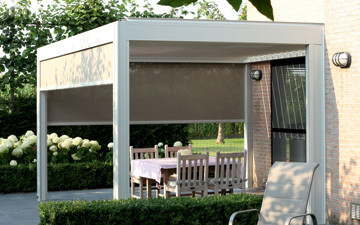 Fabric side screens with integrated UV protection. The screens retract into a top aluminium cassette via remote control. You can add a crystal transparent window in the screen to retain your view when the screen is closed. 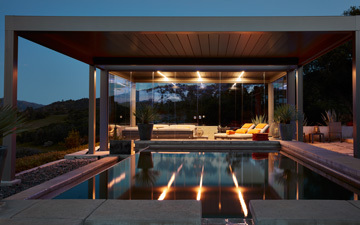 Make the most of the cool summer evenings by adding heating to your SunSpace. The radiated heat ensures an even distribution of warmth throughout the space with a minimum of heat loss. Set the scene for entertaining in your new SunSpace with the inclusion of Bluetooth loudspeakers. 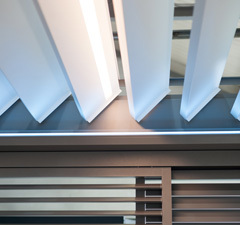 When it starts to get dark, simply switch on the integrated lighting. 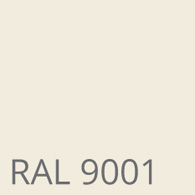 The choice of lighting lets you create the desired mood. You can choose between cool or warm light and /or an LED light strip can be selected to throw light up, down or both to create your very own mood -whatever the occasion. Select a warm white light - ideal for entertaining, a pure white light - ideal for reading or an RGB - for uplighting the frame with either a red, green or blue glow. 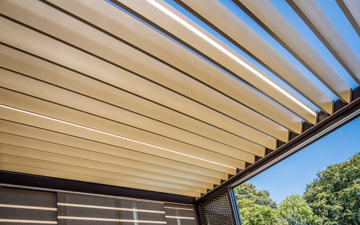 The beauty of the SunSpace Horizon garden room is its sheer flexibility. The choice is yours to enjoy building your personal Horizon garden room.